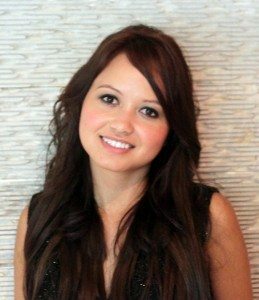 Elaine is a Singapore travel blogger for Suma – Explore Asia. 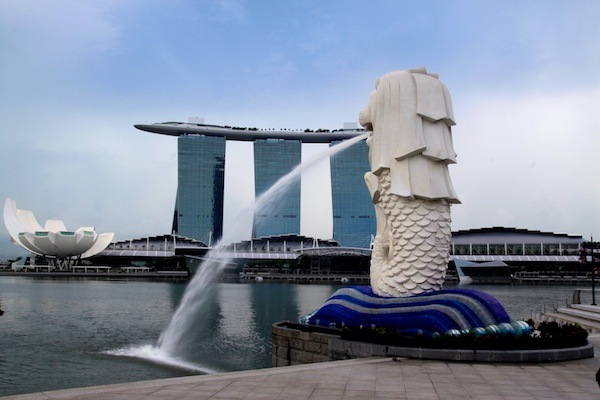 She blogs about the sights and experiences that Singapore has to offer as well the surrounding Southeast Asian countries, with the occasional trip to Europe, North America and beyond. With the addition of 2 boys, Elaine and her husband Tom are determined to prove life doesn’t stop after kids. For an insider’s view of what to do, eat and explore in Singapore, check out Elaine’s Singapore blogs below. Favorite destinations: Bali, Koh Samui and Nepal. Favorite holiday activities: Snorkeling, shopping, and trying the local cuisine. Favorite food: Pretty much everything, but top 3 would be Indian, Mexican, and seafood. Favorite dessert: Cheesecake and crème brulé. Favorite restaurants: DB Bistro (Singapore), Jaan (Singapore), Bridges (Vancouver, Canada), Ku De Ta (Bali). 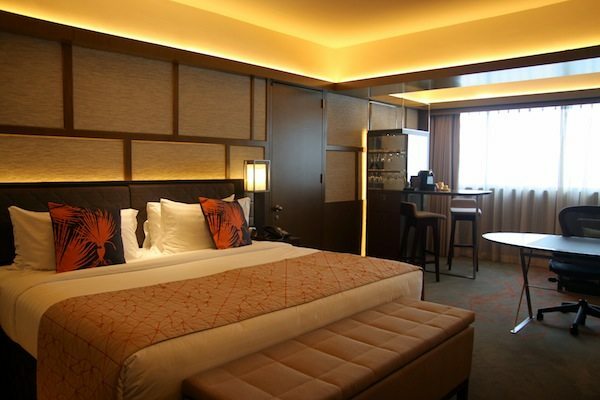 Favorite hotels: So far, W Hotel Bali, and Fullerton Bay (Singapore), but will probably always be changing. Hobbies: Photography, tennis, bike riding. Singapore has so much packed into it, it’s easy to think it’s larger than it’s area of 704 km². One minute you could be in a suit and tie at a meeting in the central business district and only 15 minutes later be with drink in hand on the beach, or even just 5 minutes later be dining along the beautiful Singapore river. As a Singapore travel blogger, I look out for unique experiences that both residents and visitors to the country will enjoy. You could never go hungry in Singapore, even if you only have $3 in your pocket, or are up at 4:00am you will always be able to find something to eat. As a Singapore travel blogger I like to share the country’s inexpensive hawker fare as well as it’s fine dining. There is something for everyone. To taste the local cuisine, try one of the many outdoor food centers like Lau Pa Sat and Newton Circus. Even the food courts in malls are worth a visit and the Food Republics usually offer the best experience. Many of the tourist destinations have their own themed food centers including the Malaysian Food Street at Resorts World Sentosa and The Singapore Food Trail under the Singapore Flyer. To try a little bit of everything in a nice restaurant, many hotels have great Singaporean food buffets including The Good Ol’ Days of Singapore at Rasa Sentosa, the Ellenborough Market Cafe at Swissotel Merchant Court and Straights Kitchen at Grand Hyatt Singapore. Then there is one of the most popular restaurants for Singapore’s famous chilli crab, Jumbo. 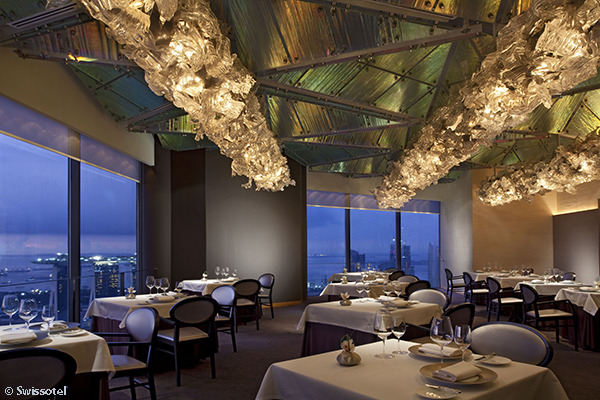 Fine dining options are abundant in Singapore, with many celebrity chefs having an outlet here. Some of the highest end restaurants can be found at Marina Bay Sands and Dempsey Hill, while nice but not fine dining options can be found in areas like Chijmes. Nightlife in Singapore can compete with the big players like Hong Kong, London and New York, just make sure your wallet is full because taxes on alcohol are high in this country. The main nightlife district is Clarke Quay, while hot nightlife can also be found at Avalon and Pangaea at Marina Bay Sands. For casual drinks at a pub, Boat Quay and Chijmes are the places to go. 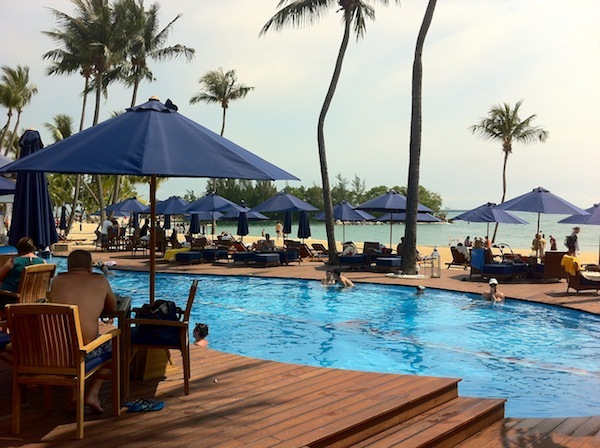 Singapore might not be known for it’s beaches, but an island getaway is only 15 minutes away from the city center. Since Singapore is so small, you can stay almost anywhere and still be close to all of the action, just beware, hotel prices are high in this country. I have blogged about many of the best hotels in Singapore, and with new ones opening every year, there’s always a new hotel to write about. For such a small country, there are endless activities in Singapore. Our suggested tourist activities include a boat ride along the Singapore river and drinks at the top of Marina Bay Sands at Ce La Vie or 1-Altitude as a great alternative. The lion city is the gateway to Asia with Malaysia, Indonesia, and Thailand only a short flight away. Let us know what you think of our Singapore Travel Blog!